Port Elizabeth is a hidden gem for Tourists. Most only know the Airport in this beautifull City, from where they start their Garden Route tour. Known in South Africa as the friendly city, Port Elizabeth has got so much to offer. Beautifull golden beaches and close to so many Malaria free Game Parks. PE is the second largest city in terms of area and the fifth largest in terms of population in South Africa. Temperatures are moderate all year round with rain scattered throughout the year. The summers are warm with a very temperate humidity level. Winters are mild and pleasant, and it is significant that water sports, even surfing, boardsailing and diving, are practised year-round. In all, the visitor soon discovers that the climate is one major contributor to the reputation of the area as offering an outstanding quality of life. PE has many historical attractions, one of the most interesting being the Historic Donkin Heritage trail, which allows the visitor to follow in the footsteps of the 1820 Settlers on their journey of discovery and settlement. This 5 km trail visits 47 historical sites and architectural delights in the Old Hill area of central PE. Within the city there are some beautiful parks. One of them is St Georges Park, which covers 73 hectares and is home to the world famous Port Elizabeth Cricket Club and the oldest Bowling Green in South Africa. Another Park which is making the city so special is the 54 hectare Settler's Park in the city centre, which is a nature lover's paradise, as it boasts beautiful flora and fauna. PE is the perfect base to make day trips to one of the many Game Parks in the area. All less than a hours drive. To mention only a few....The Addo Elephant Park, is sanctuary to over 420 elephants, 450 Cape buffalo, black rhino, a variety of antelope species, as well as the unique flightless dung beetle, found almost exclusively in Addo. Then a Park we found offers a excellent value for money is Schotia who also offers combined day trips to Addo and Schotia. Schotia Safaris is the oldest private game viewing reserve in the Eastern Cape, bordering the eastern side of Addo Elephant National Park. 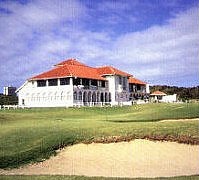 Humewood Golf Club in Port Elizabeth, a true links course, is rated among the Top 10 Golf Courses in South Africa.